Our product range includes a wide range of plastic blow moulding dies, injection blow moulding die, injection moulding dies and blow molding dies. 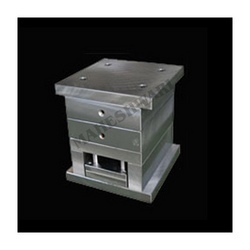 we are engaged in offering an extensive range of Plastic Blow Moulding Dies to meet the needs of our clients. 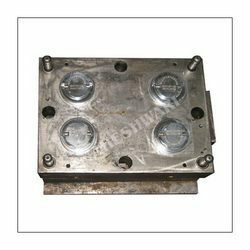 The Plastic Blow Moulding Dies we offer to our clients is well designed and ensures long lasting service life. In addition to this, our range is known for its features such as high quality and longer durability. We are offering our precious clients a superior quality range of Injection Blow Moulding Die. The offered dies are manufactured with the help of high grade material and cutting-edge technology in compliance with set industry standards. Further, these are strictly checked on different quality parameters assuring their flawlessness at user’s end. 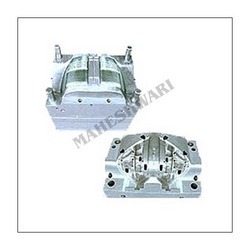 These dies are widely used for manufacturing process of products in different shapes and sizes. 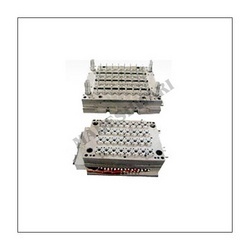 We offer this product on customized basis. Clients can avail these dies from us at market leading prices. We have been highly successful in fixing a specialized place for ourselves in the market by presenting to our patrons a comprehensive consignment of Injection Moulding Dies. Attributed and accredited broadly due to its fine finish, these products are presented with us in different specifications. In addition to this, our clients can get these from us at most inexpensive rates. From our wide range of products, we offer optimum quality Blow Moulding Dies to our esteemed clients. Manufactured using the best quality raw materials and latest technology, this is designed with high precision in order to meet the international standards. Also, our quality control team checks this die thoroughly on various stringent parameters to ensure its flawlessness.